The Human Settlements: The Digital City. Digital cities are being developed all over the world. Digital cities integrate urban information (both achievable and real-time) and create public spaces for people living in the cities. The topics include telematic applications, car-free cities and so on. Why do regional information spaces attract people given that we are in the era of globalization? We realize that the Internet has triggered global businesses, but at the same time, it enables us to create rich information spaces for everyday life. Business requires homogeneity to allow global competition, while life is inherently heterogeneous reflecting the different cultural backgrounds. People are starting to incorporate the Internet technology into their life. Digital cities will integrate people’s everyday life and business on the Internet by using a city metaphor. In the US, 80% of incomes are spent within 20 miles from home. Even though the economy has become more global, everyday life remains local. For people with problems with their health, the worldwide network cannot have much impact. Local networks of people with the same problem are more valuable. Digital cities will provide the infrastructure for networking local communities. Digitalcities have a variety of directions: tourism, commerce, transportation, urban planning, social welfare, health control, education, disaster protection, politics and so on. People can easily imagine possible applications suitable for digital cities. Digital cities can incorporate real-time sensory data from the corresponding physical cities. More sensors are being embedded into cities in recent years. Many of them can be shared by citizens to increase welfare and to guard against disasters. Digital cities attract people because different expertise can contribute to building a new city. Digital cities provide an opportunity to people to create a new information space for their everyday life. The concept of digital city can be said to have been applied in Amsterdam, where communication between the municipal council and citizens were started to be made via texts and modems at first. Terminals were placed at public spaces such as libraries. The success of this experiment increased the interest of the citizens in the Internet. In the first ten weeks, 10,000 people registered with the digital city and 100,000 accesses were recorded. 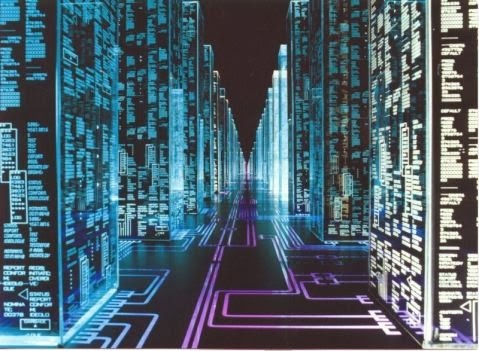 The system continued to grow, and in 1996, an average of 48,000 users visited the digital city every week. The smart Dubai is a promising example. It will add around 5.5 billion US$ to the total GDP of Dubai and will also add around 27,000 jobs. Digital Cities may prove beneficial at large as it includes the participation of the community and the integration of the advancements made in the field of Science and Technology. However, its implementation and design will play a crucial role in determining its success. The developing world is still competing with the rising technological trends and they will have to invest in the various researches in order to make their large and densely populated cities - a healthy experience for the inhabitants. Technology and advancements are always good, but their way of incorporation in the living style of the humanity is what, is more important. Inventions generally doesn't gets failed, but its the humanity which fails to understand the criteria of its use and limits. 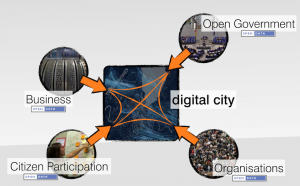 Community Participation is very crucial in the Success of the Digital Cities. Thank you ilakshee. !! Have a Good Day.